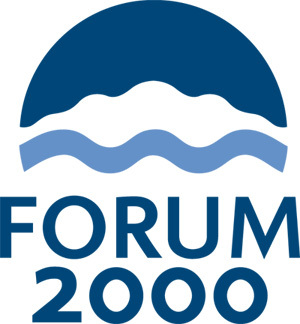 We would like to invite you to an accompanying discussion panel at the occasion of the 15th international conference of Forum 2000 Foundation „Democracy and the Rule of Law“ that annually takes place in Prague under the auspices of Mr. Václav Havel. Our discussion panel is called „The Destinies of Women Political Prisoners in the Light of (Un)Rule of Law“. The panel is devoted to the theme of women political prisoners. The presented stories of Czechoslovak female political prisoners document many specifics of political oppression committed on women – the psychological pressure, separation from family and relatives, sexual violence, stigmatization concerning reintegration back to society. Crimes committed on women often become a taboo, as the stories of Austrian women abducted to Gulag show. Our invitation was accepted by Mrs. Hana Truncová, a former political prisoner, imprisoned 1951 – 1960 e.g. for the assistance to people escaping from socialist Czechoslovakia. Mrs. Truncová will take part at the discussion panel and share her experience with us. The presentation of the documentary portrait K.Ch. – the story of female political prisoner that is being finished in cooperation with students of College of Media and Journalism (VOŠP) and Charles University, will also be devoted to women political prisoners. Mrs. Anita Lackenberger, a director of the Austrian production company „Produktion West“ will be another interesting participant. An investigation concerning women abducted from Austria to Soviet Gulag belongs to her recent activities including a short document „The Lost Lives – Austrian Women in Soviet Gulag“. The almost forgotten and tabooised stories will be presented. The event will be held on 11 October 2011 at 18:00 pm in the Academy of Science of the Czech Republic, Národní 3, Prague 1. Free public participation. RSVP via email info@politicalprisoners.eu.